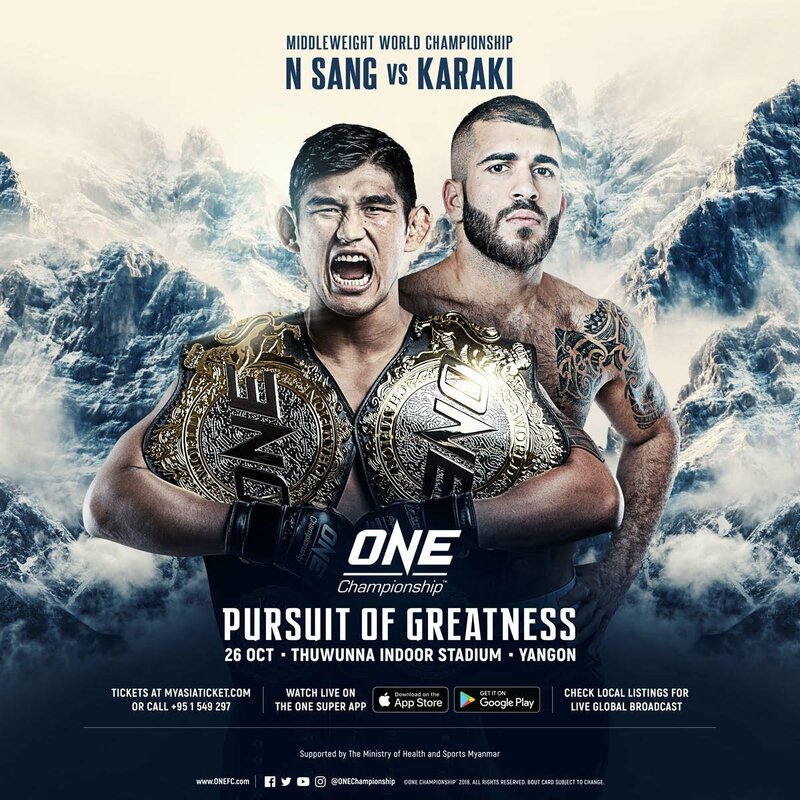 The largest global sports media property in Asian history, ONE Championship™ (ONE), has just announced the main event for ONE: PURSUIT OF GREATNESS, set for Friday, 26 October, at the Thuwunna Indoor Stadium in Yangon, Myanmar. Reigning ONE Middleweight World Champion “The Burmese Python” will defend his title against Mohammad Karaki. Ticket information for ONE: PURSUIT OF GREATNESS is available at www.onefc.com. ONE Championship is the largest global sports media property in Asian history. Headquartered in Singapore, ONE Championship is the home of martial arts and is the world’s largest martial arts organization, hosting bouts across all styles of martial arts such as Muay Thai, Kickboxing, Karate, Kung Fu, Silat, Sanda, Lethwei, Mixed Martial Arts, Tae Kwon Do, Submission Grappling, and more. The world’s most exciting martial arts organization hosts the largest sports entertainment events across Asia, featuring some of the world’s best martial artists and world champions, all signed to exclusive contracts, on the largest media broadcast in Asia. In addition to its digital platforms, ONE Championship broadcasts to over 1.7 billion potential viewers across 138 countries around the world with some of the largest global broadcasters, including Fox Sports, ABS-CBN, Astro, ClaroSports, Bandsports, Startimes, Premier Sports, Thairath TV, Skynet, Mediacorp, OSN, and more.